PHUKET: Opened in 2006, the Aleenta Phuket-Phang Nga is a family owned and operated resort, led by Managing Director Anchalika Kijkanakorn. 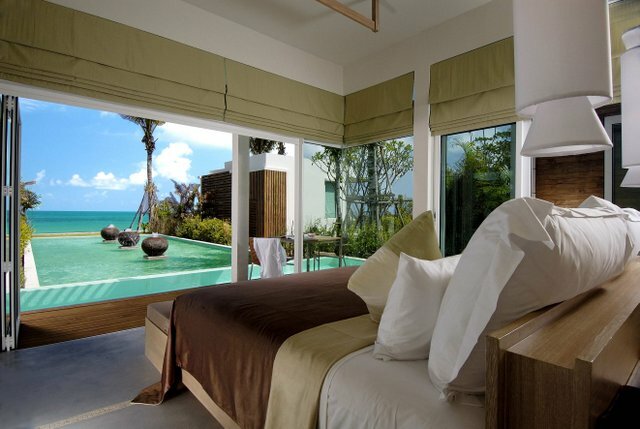 Aleena Phuket-Phang Nga provides a relaxing weekend getaway. In coming up with the concept, the family wanted to create an oasis on unspoilt Natai Beach on the shore of Phang Nga Bay, just north of Phuket island. Right from the off, the family wanted their designers and engineers to pay strict attention to not harming the environment and working with the local community to establish a sustainable resort. As the first resort on this stretch of beach, Aleenta Phuket-Phang Nga has become a leader in ensuring these rules are adhered to. The development concept also focused on using as many local suppliers and companies as possible to benefit the local community. This was extended further when it came time to hiring staff, with more than 80 per cent hired from the surrounding area, ensuring wlocal families and the local economy would benefit from the resort’s construction. Their community involvement includes a scholarship programme launched five years ago to support two school children every year, the launch of the Pure Blue Foundation to restore reefs in Phang Nga Bay, and a programme to revitalise the falling leatherback turtle population. 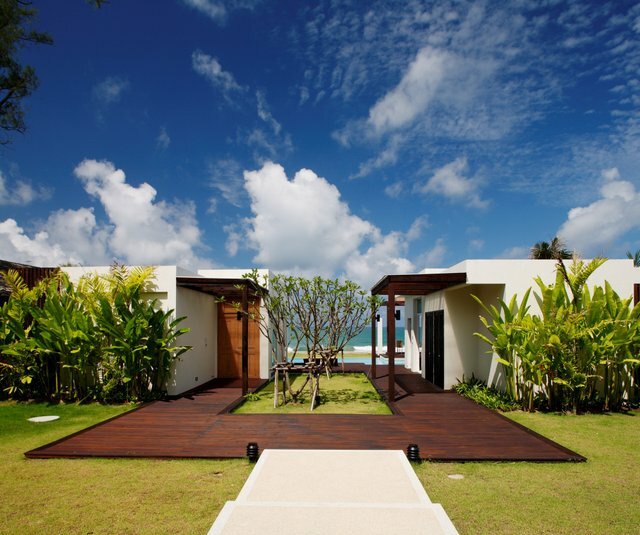 In terms of design, their concept is based on ‘Outside Living – In’, where all rooms open up for guests to enjoy fresh air, the sounds of the Andaman Sea and uninterrupted views. This also cuts down on the need for air conditioning and lighting during the day. Their cooking school allows guests to really experience Thai cuisine. They are personally escorted by the chef to the local market where they select fresh food and learn about the local herbs, fruits, how to choose the best seafood before preparing authentic Thai dishes at the resort. Guests can also learn about reef restoration. Join their coral expert during their monitoring and learn about this very fragile eco-system. Alternatively guests can snorkel to see the reef located 20 metres off shore or help nurture the endangered species of leatherback turtles that are released here. Lastly, if you’re looking for a tailormade wedding, brides- and grooms-to-be at the Aleenta Phuket-Phang Nga are contacted personally by the resort’s in house wedding planner and guided through all the steps. Every wedding is unique in its conception from the menu to the flowers to the table set up, with only allow one wedding at a time to ensure maximum privacy and dedication.